I am excited to announce that I am now a member of the Spellbinders Design Team! This is SUCH a huge honor and I am absolutely THRILLED to be a part of this team! Today I have my first post up over on the Spellbinders blog as a part of the 12 Days of Christmas blog hop! There are LOTS of great ideas and some great prizes to win, too, so be sure to check it out! 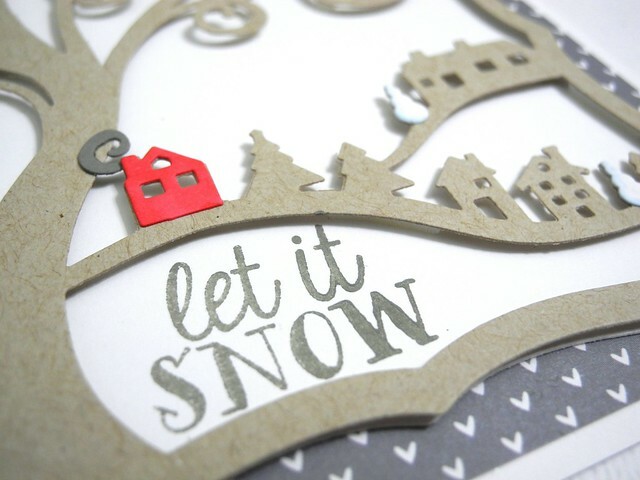 I hope you head over to check out the card I created using the absolutely GORGEOUS Picture Perfect die! It's an AMAZING die and I had so much fun with it! A huge congrats Jingle. Cannot wait to see the full post. Congratulations! You are so creative and you will be wonderful. Thanks for letting us know about the 12 days of Christmas at SB. Love the sneak peek now I need to go check it out! Congrats again! Congrats friend. off to look! Congratulations! I love your card! Such a wonderful design! TFS! It is picture perfect. I love the natural look of this. Congratulations! And love your card!!! Congratulations!! Fabulous card -- I love how you made the smoke swirl. Clever! Congrats to you on the SB DT.